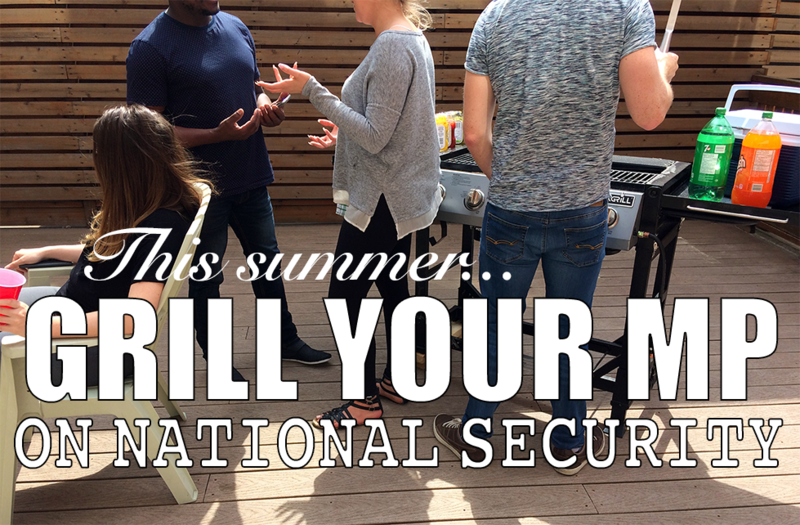 BBQ season is slowly winding down but you can still contact your MP to let them know that the protection of civil liberties doesn’t take time off in the summer! Below are 7 short questions and asks you can make of your Member of Parliament before Parliament comes back at the end of September. Here’s the PDF version. If you want, send us their responses at communications@iclmg.ca so we can follow up with them and hold them up to what they’ve said. Please share widely via email, on Facebook and Twitter. Thank you! The issue: Bill C-51 created the Anti-Terror Act, 2015. It was passed with little debate, no evidence showing it was needed, and no amendments. The law serves to weaken our security by eroding our right to privacy, freedom of expression and freedom of association. The Liberals have introduced Bill C-59 which they say will fix the most egregious issues. However, minor changes and new review mechanisms (albeit welcome) do not fix bad laws. We need the government to take firm action on human rights and civil liberties: C-51 must be repealed. Question for your Member of Parliament: Bill C-59 makes minor changes to some parts of C-51 and leaves most of it untouched. What actions will you take to make sure that C-51 is repealed and that our rights aren’t diminished by national security laws? The issue: The Ministerial Directives on Torture – or torture memos – allow the Canadian government to share intelligence with, and receive intelligence from, countries that engage in torture. These exceptions allow countries that practice torture to continue their illegal and unjust actions, knowing that they won’t be cut off from the information-sharing community. In January 2016 the government said they would review the directives. It’s now June 2017 and they just announced they will be consulting on how to change the memos. We don’t need more consultation – we need action! Furthermore, the government is still contemplating sending Mohamed Harkat, an Algerian refugee, back to Algeria where he risks being jailed and tortured. The Liberal government has said they are absolutely against torture; it is time to show it! Question for your MP: Information potentially derived from torture should never be used, and people should never be sent to a country where they face risks of torture. Will you commit to explicitly banning the use of information gathered under torture, or the sharing of information with governments that engage in torture? Will you refuse that any individuals, including Mohamed Harkat, be sent to countries where they face torture? The issue: There are very serious concerns that the Government of Canada knew — or had been warned — that prisoners handed over to Afghan authorities by Canadians were tortured or faced the likelihood of abuse. If the government had been aware, and did nothing to stop it, then it could be considered a war crime. Federal Liberals who argued for a public inquiry, while in opposition, into the treatment of prisoners during the Afghan war, have now said they will not conduct such an investigation. This decision was penned by Defence Minister Harjit Sajjan, who served three tours in Afghanistan as a member of the Canadian Forces, putting him in a conflict of interest. The Ethics Commissioner found no conflict of interest but based her conclusion only on Sajjan’s account of his involvement in Afghanistan, which was different than what he told a military historian. This issue is grave enough, and murky enough, that we believe a public inquiry is necessary. Question for your MP: For Liberal MPs: Why has the governement flip-flopped on this issue and decided against a public inquiry? For all MPs: What actions will you take to ensure that we learn the truth on Canada’s involvement in the torture of Afghan detainees? The issue: Canada’s no fly list has been plagued with problems: Innocent people – including dozens of kids – have ended up as “false positives” and seen their travel delayed. People are not told if they are on the list, meaning you would only know if you are listed if you are stopped at an airport, and may never even know. The current system to appeal being a false positive or being placed on the list is ineffective and time consuming. More importantly, the criminal code is sufficient to stop people suspected of a crime from boarding a plane. A secret administrative list you cannot challenge in court is a threat to civil liberties. The no-fly list should be abolished. Question for your MP: Bill C-59 promises changes to the no fly list, but they don’t go far enough. What action are you taking to ensure there’s a redress system for false positives and people who want to challenge being on the no-fly list? What is your position on abolishing the no-fly list? The issue: The government has dedicated millions of dollars to a Office for Counter-Radicalization. They have publicly committed to addressing all forms of violent extremism. However, experts state that the causes of “radicalization” and “extremism” are still little understood. And in other countries, such offices have mostly ended up targeting Muslim and Arab communities. We do need to address violence in society, but shouldn’t the focus be on social causes of violence and tension – like poverty, lack of social services, underfunded education systems, racism, homophobia, sexism – and not aimed at marginalized groups? Question for your MP: What are you doing to ensure that the government’s “deradicalization” efforts don’t target Muslim and Arab communities? What are you doing to ensure that dissenting ideas and groups that are not violent but challenge the government’s decisions are not caught in this? What are you and your party doing to address the social causes of the most common forms of violence, like sexual assault, domestic abuse and hate crimes? The issue: The government has created a committee of parliamentarians to review national security (C-22), and introduced legislation to create an umbrella review agency for all national security activities (C-59). But the committee of parliamentarians faces significant limitations on what information they can access and what issues they can investigate. And the proposed umbrella review agency’s recommendations are not binding at this time. We need stronger, independent and more effective review and oversight. Question for your MP: What is your party doing to ensure the efficiency of national security oversight and review bodies? Will you allow the committee of parliamentarians full access to the information they need? And will you let it and the new National Security Review Agency make binding decisions? The issue: Canadian citizen and professor Hassan Diab was extradited to France in 2014 to be investigated for the bombing of a synagogue in Paris in 1980. He was extradited on incredibly flimsy evidence that even the extradition judge in Canada expressed concern over. Since then, multiple pieces of evidence have been shown to be faulty, and a French investigative judge found overwhelming evidence that Hassan was in Lebanon at the time of the bombing. Judges have ordered his release 6 times, but each time it was blocked by the prosecution. He has now been held without charge in pre-trial detention for over 2 ½ years in France, away from his partner Rania and their two children. The Canadian government must speak out for Hassan and demand his release and return home. Question for your MP: Are you aware that Canadian Hassan Diab has been in jail for over 30 months without charge in Paris? Will you and your party ask the Prime Minister to speak out for the release of Hassan? This entry was posted in News from ICLMG, Take action! on 28 June 2017 by ICLMG CSILC. When it comes to national security – rules governing everything from when you can be arrested to when the government can spy on your email – the RCMP feels that its voice and the voices of other law enforcement agencies aren’t being heard in the government’s public consultation on national security, which runs online until the end of this day, December 15. « So far, [the debate] appears to be driven very much from one side, which is those that would like more privacy and more anonymity, » RCMP Chief Supt. Jeff Adam told the CBC and Toronto Star in November. The interview was part of a joint series on how police feel they are losing the tech race to criminals who they say are “going dark” behind encryption – a claim that has been heavily disputed, even by the Star’s editorial board. 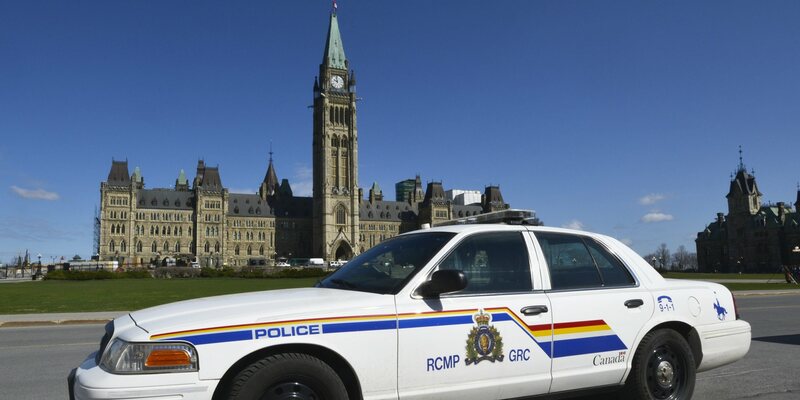 While the RCMP feels its voice isn’t being heard, as soon as the online consultation was published, human rights and privacy organizations cried foul. They pointed to leading questions, hypothetical scenarios provided without evidence, and a questionable background document that all seemed to lay out an argument not only in support of the most problematic powers introduced in Bill C-51, but for bringing in concerning new police powers as well. Could something so weighted towards police powers have truly excluded the police? As Vice Canada reporter Justin Ling has shown, it would appear law enforcement’s voice has been there all along. And the inability to obtain users’ data hosted in some foreign countries. Even a casual read of the consultation and supporting documents reveal how important these four perceived concerns are to the government. So really, there was no need to have major media grant them a platform: police voices were already at the heart of the process. So how can we make sure we swing the balance back? Until the end of this day, December 15th, anyone can share their thoughts by filling out the online consultation, or by sending an email to ps.nsconsultation-consultationsn.sp@canada.ca. Whether you want to call on the government to once and for all “kill Bill C-51” or want to dig into the nuances of how banks report suspicious financial transactions to the government, now is your chance! Preventing police and spy agencies from obtaining new powers that would violate our privacy, including obtaining Basic Subscribers Information (BSI) without a warrant, weakening encryption, intercepting a vast array of our communications, and forcing telecom companies into bulk data retention. Bringing in a greater, integrated and independent review mechanism for all of Canada’s national security bodies. Right now only three out of twenty have independent review, and they are forced to work in silos, unable to examine the work of other agencies even when operations overlap. Repealing the no-fly list which has proven ineffective and resulted in an untold number of false positives – including over 50 children. Ensuring the government focuses on reducing all forms of violence and increasing equality for all communities, rather than further marginalizing Muslim, Arab and other racialized communities. Many of the questions are technical and obscure, and not everyone is a national security expert. That’s why the ICLMG, along with several other groups, have put together guides to help decipher and answer the questions. You can find our responses here: http://iclmg.ca/issues/our-answers-to-the-national-security-online-consultation/. Feel free to re-use and adapt them for your own answers. The government has said it wants to hear from us. And the only way to make sure our voices are heard loud and clear is by sending in as many messages by the end of the day. Together, we can make sure to do away with invasive spying and the criminalization of dissent and put our laws to work protecting civil liberties and human rights. This entry was posted in News from ICLMG, Take action! on 14 December 2016 by ICLMG CSILC.